This case offers the best in extreme shock protection with shock absorbing corner impact protection, durable layered materials, slim and sleek design and an ergonomic grip. 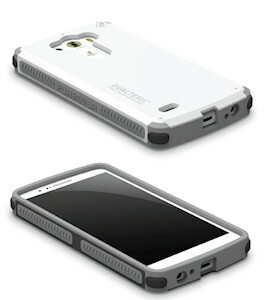 This case is also available for LG Lucid 3, HTC One Mini 2/Remix, Samsung Galaxy S4 Mini, Samsung Galaxy S3 Mini, Samsung ATIC SE, HTC One, Samsung Galaxy Note 3, LG G2 and Samsung Galaxy S III® devices. 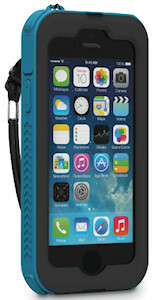 This case is designed to be dust proof, water registrant and shock absorbing. Durable layered materials come together for strength, toughness and flex, the built-in screen shield adds scratch protection and the ergonomic grip is secure and comfortable. The one-piece design of this case combines durable polycarbonate and flexible rubber and protects against daily wear and tear. 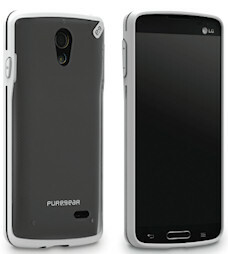 The case is easy to snap on and off and available in two colors, licorice jelly and coconut jelly. 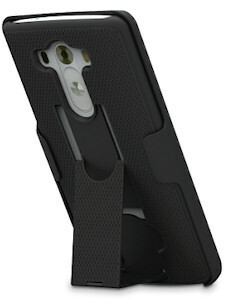 This case is also available for LG Lucid 3, HTC One Mini 2/Remix, Galaxy S3 Mini, Samsung ATIV SE, HTC One, and Nokia Lumia 929 devices. With this case you can clip, protect, prop and view. The case features durable protection, a low profile built-in slider stand, the holster that protects the phone screen, and rubberized material for added grip support. Also available for HTC One Mini 2/Remix, Samsung Galaxy S5, Samsung ATIV SE, HTC One, Nokia Lumia 929, Google Nexus 5, Samsung Galaxy S4 Mini, Motorola Moto X, Samsung Galaxy S4, and Samsung Galaxy Note 2 devices.